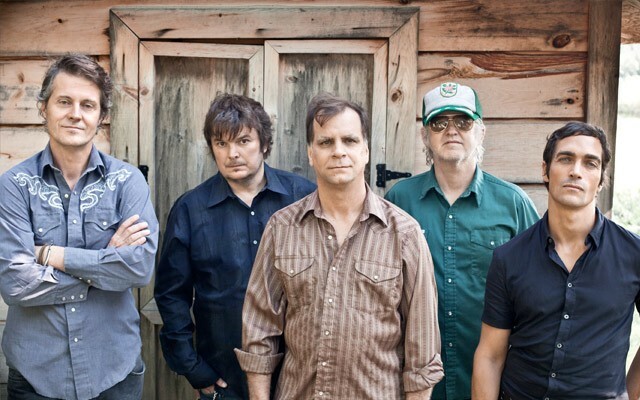 Spanning nearly three decades, Blue Rodeo has sold in excess of four million records and won an unprecedented 11 JUNO Awards, establishing themselves as one of the premier groups in Canadian music history. The definitive sound of Blue Rodeo has made them one of Canada’s most successful and recognizable contemporary rock acts, having released 12 albums since their landmark debut Outskirts (1987) which went double-platinum and sold more than 200,000 copies across the country. Two additional live recordings later, a Greatest Hits package and three video/DVDs as well as acclaimed breakout solo projects have combined to make Blue Rodeo an unparalleled musical presence in this country and around the world. The band has always remained authentic and consistent with their hallmark blend of country, blues, folk and rock influences yet always manages to re-invent themselves with each new song and appearance. Blue Rodeo was founded in Toronto by its two lead singers, guitarists and songwriters Jim Cuddy and Greg Keelor in 1984. The pair had been collaborating since 1977, and briefly tested the music scene in New York as a punk-influenced band, the HiFis. Upon returning to Toronto, Cuddy and Keelor re-evaluated their musical style opting for a more grassroots rock sound and put together a band with Bazil Donovan (bassist), Bob Wiseman (keyboardist) and Cleave Anderson (drums) to form Blue Rodeo. Blue Rodeo quickly developed a loyal following as they made their rounds performing live at nightclubs, bars, colleges and pubs amid the Toronto music scene. But it was the release of the band’s first single “Try” that received ample radio play and set in motion a three-decade-long career of headlining almost every club, theatre and arena in Canada, not to mention earning them their first of many JUNO Awards for Single of the Year, Video of the Year and Group of the Year. Although the band went through several different members over the years, the undeniable songwriting chemistry between Cuddy and Keelor remained unwavering and produced a streak of hit albums, including Diamond Mine (1989), Casino (1990) and Lost Together (1992). In 1993, when grunge rock was squeezing commercial rock off the radio, Blue Rodeo took the unbeaten path and recorded their most acoustic record, Five Days In July, scoring their biggest hit, selling more than a half million copies. Nowhere to Here (1995) continued the hot streak followed by the release of Tremolo in 1997. Soon after, both Cuddy and Keelor embarked on solo projects. Keelor’s Gone (1997) and Cuddy’s debut All In Time received critical acclaim. Blue Rodeo returned to the studio in 2000 to record The Days in Between and several more albums including Small Miracles (2007). The most recent double-CD, The Things We Left Behind, released in 2009, is one of their most ambitious yet, with musical guest offerings from Julie Fader, Wayne Petti (Cuff the Duke), Suzie Ungerleider (Oh Susanna) and regular collaborator Travis Good (The Sadies). Twenty-five years since their first album, Blue Rodeo’s success and longevity is still widely attributed to their love of live touring and connecting with their fans. Today, comprised of members Jim Cuddy, Greg Keelor, Bazil Donovan, Bob Egan, Glenn Milchem and Mike Boguski, Blue Rodeo remains a touchstone of Canadian music. In 2001, the band received the keys to the City of Toronto and was honoured with a star on Canada’s Walk of Fame in 2009.